David Arquette is a talented and humorous film actor, director and producer, probably best recognized for his role in the horror trilogy, Scream. 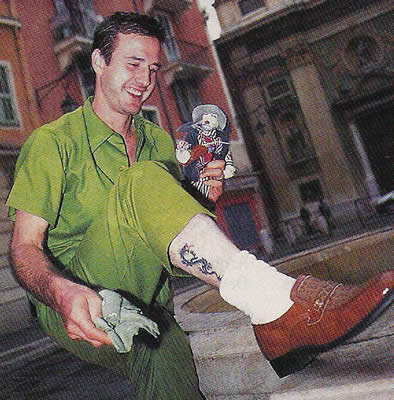 David Arquette has a handful of tattoo designs on his body, including a large dragon on his right calf. 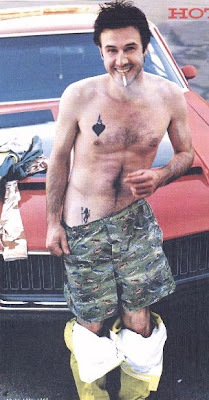 Some of his other tattoos include, the "sacred heart of Jesus" on the right side of his chest, along with a devil lady holding a pitchfork on his right pelvis. David also has a band around his right forearm and a large tattoo design on his left leg. 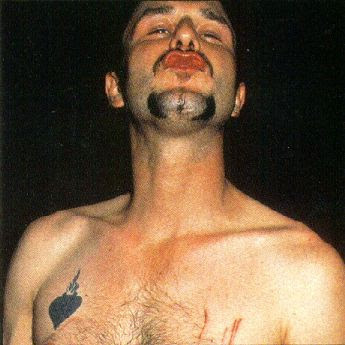 It has also been rumored that David Arquette has his mothers name tattooed on his back.